The longtime connoisseurs of color, Pantone, carefully chooses the preeminent “Color of the Year” every year at this time. While color may not directly apply to New Jersey marketing and PR, we still find it applicable. Many are surprised to learn that the Color of the Year eventually flows through the design and coloration veins of just about everything we touch. (Last year’s color was Emerald Green). 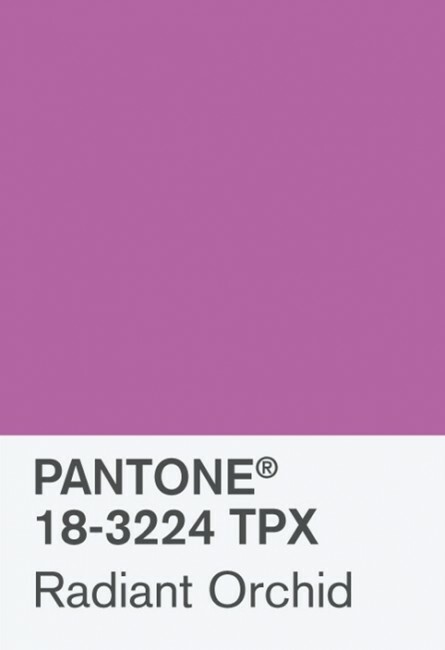 Obviously, this lovely and peaceful shade of lavender will be prominently featured in fashion and home design. But we like the idea of sneaking in a bit of Radiant Orchid in our marketing efforts online and in print. It’s certainly an appealing color and compliments just about any logo colorations. We think Radiant Orchid is a marvelous choice. While it is historically a feminine color, fashion designers introduced this flattering shade to the mainstream fashion crowd and even middle-of-the-road males have been unexpectedly receptive and added a tie or shirt in this color spectrum. Somehow, having us all coordinate efforts and ‘spread the purple’ creates an air of unification and cohesion amongst us all. Let’s face it — when you have something to bring everyone together, you should run with it. So while you may see nothing but red, green, gold and silver this week, rest assured, there’s a little purple in your future.